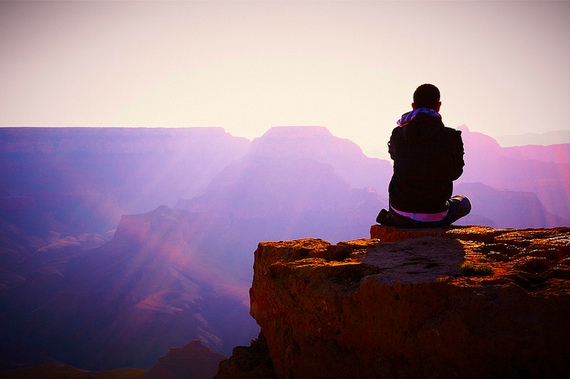 People who have a successful meditation practice describe their experience as overwhelming peace and centeredness resulting in feeling connected and full of creative energy. "Turn off your mind, relax and float downstream," goes the Beatles song: Tomorrow Never Knows. Ever since the Fab Four went to India in 1968 to study transcendental meditation with the Maharishi Mahesh Yogi, the concept of meditation has steadily seeped into Western culture and language. Currently there are over 76,000 titles on Amazon.com about meditation or mindfulness (the practice of being conscious of the present moment.) Spread far beyond personal physiology, the business and health care industries have embraced mediation as a way to lower stress, promote healing, stimulate fertility, manage pain, and increase productivity in the workplace. Today, faced with the dark side of smart phones and computers - too much information to process and too many distractions - practicing meditation presents a real solution in a world where so many of are suffering from technology-induced stress. For many affected by Post-Traumatic Stress Disorder (PTSD), meditation can be powerful medicine. Yet, despite the well-known benefits, many people fail at the practice and quickly give up. When I teach people meditation practice I ask if they have ever tried meditating and how it went. I frequently hear: "It takes too much time. It's difficult and takes years of practice to get it right. I'm way too stressed out to relax and sit still. I tried it but I was disappointed - I didn't have any of those experiences you hear about like feeling total bliss or having an "Aha!" moment of realization." It's no wonder. The myth - that in order to be successful practicing mindfulness you have to let go of all thought - requires that you must force yourself to stop doing something you do all the time. If you demand that you restrain yourself from doing something it will just create stress and produce more of what you're trying not to do. 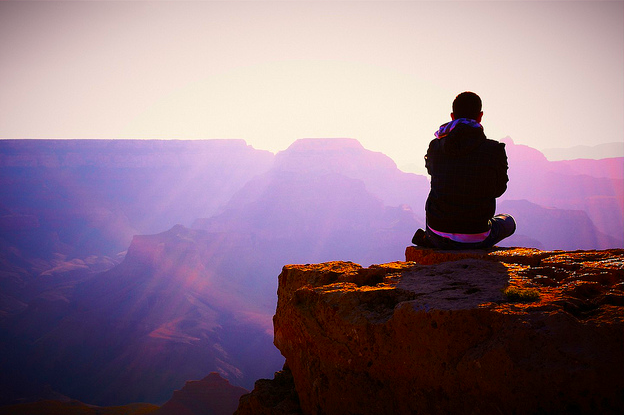 People who have a successful meditation practice describe their experience as overwhelming peace and centeredness resulting in feeling connected and full of creative energy. Their descriptions match my own experiences. Yes, to mediate takes practice (all good things do......) and requires focusing on the quiet space between thoughts, but it's a habit I have personally nurtured because I love how it feels. Another great benefit of mediation is clarity. We all have an unrelenting internal dialog that describes the life that we are having. It defines "who am I", my opinions, my beliefs, my problems, my hopes and all my dreams. Here's is an interesting question: What would happen to your world view if you let that interpreter voice collapse for say... 15 minutes, 30 minutes, or even an hour? What you might experience is a new world brimming with unimaginable possibility. We teach a practice we call "Stopping the World" but there are many effective forms of meditation. I personally don't recommend mantras or guided meditations because they actively engage the mind - something we are trying not to do. Find a practice that resonates with you, something that feels comfortable and aligns with the idea that this should be pleasurable, not an Army drill to force your mind into submission. So, if you are interested in having a mediation practice because you are sold on the many benefits of mindfulness but have failed in the past, approach the dreaded - I have to turn my mind off task - from a different direction: Choose to let go of your thoughts - even for a short while - because you deserve the pure pleasure it brings!